[a:Tarryn Fisher|5410816|Tarryn Fisher|https://d.gr-assets.com/authors/1336086252p2/5410816.jpg] deserves a genre all on her own. 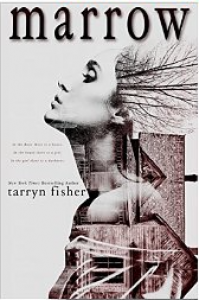 I knew her stories were twisted and crazy after reading [b:Mud Vein|18246727|Mud Vein|Tarryn Fisher|https://d.gr-assets.com/books/1379536072s/18246727.jpg|25697736], which I will admit I wasn't a big fan of. 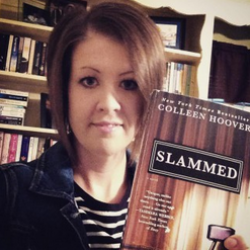 Maybe it was timing, or my incessant need for a HEA in all of my books that turned me off from it. With Marrow, I wanted to keep an open mind and really understand the madness coming from Fisher's mind. And I finally got it. We all see horrible things happening to undeserving people every day in the news. I purposefully try to ignore the news most days to avoid having to see the ugliness that has taken over this world. But it was just a few months ago where a different author I followed on Facebook had posted a horrific video of a mother punishing her child for something in the most horrible way, and it made me physically ill. I was traumatized by what I saw all day, and remember thinking that I couldn't wait to pick up my daughter after work and hug the crap out of her. Then a few weeks later, Tarryn posts about her reason for writing this book, and that she had watched something similar online that inspired her to write it. A book about revenge. Revenge on those who hurt innocent people. Fighting a battle for the innocent who aren't capable of fighting for themselves. Margo lives in the Bone, a place full of despair and crime. A place with no hope. She has suffered so much loneliness and anguish in her own life, living with a mentally ill mother who never showed her an ounce of love. After witnessing the heinousness of others in her neighborhood, Margo decides to take matters into her own hands. As a society, we tend to ignore the bad in the world, pretend it doesn't happen around us. But Margo is done ignoring it. I don't want to hurt people, I don't have an innate need to, but they must be punished. That's what I do, or what I tell myself I do. I punish. I feel responsible for it. An eye for an eye. A beating for a beating. A burn for a burn. I have a conscience. It's different from the average person, but at least it's still there. Despite what Margo is doing, it's hard not to empathize with her. You have seen how she grew up and what she lived through. And you see the horrors that have been committed in which she's seeking revenge. It's sick, and it's twisted, but you can't help but understand her. And then there's Jonah, a light in her darkness. His friendship gives her the only feeling of love and hope she has ever had. But there is still a darkness deep inside Margo that is fighting to get out. Marrow is emotional and twisted, and utterly mind blowing. When I finished the book, I felt overcome with emotion and so many questions. She pushes limits and forces you to think. YOU get to choose if you think Margo is truly crazy and how you think her story ends. I have never thought so much after finishing a book than I did when I finished Marrow. Normally, that's not what I want out of a book because I read strictly for entertainment and as an escape. Marrow was different than anything I would normally read but I'm so glad I read it. There is a connection to [b:Mud Vein|18246727|Mud Vein|Tarryn Fisher|https://d.gr-assets.com/books/1379536072s/18246727.jpg|25697736] in the book, but you don't have to have read MV to read it. After finishing Marrow, I am considering giving MV another try. Kudos, Fisher. I don't know if liking Marrow makes me crazy, but thank you for putting into writing the things people aren't willing to talk about and think about. Thank you for making ME think.